GLENPOOL - Bessie Martin is proud of the pair of cut peonies sitting on her living room side table. "They're the best red peonies I've had in 25 years," she said, pointing to a small vase. Martin, 91, can no longer garden, so she has someone come in to tend her peonies. But she gets to live at home and enjoy them. "I watch the weeds grow," she jokes. She still has that feeling of independence due to her health and careful planning by her family, namely her son Bill Martin. "She does very well. My dad passed away when he was 67, which was about 30 years ago," Martin said. "She's lived here since 1981, and has been very active. She uses her walker, but doesn't always need it, and has her Life Alert necklace. 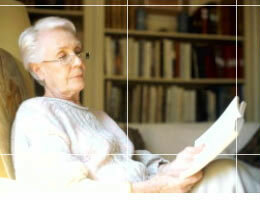 She takes some medication for her arthritis, and she has the blood pressure of a 20-year-old." service, Home Instead Senior Care of Tulsa, to check in on her. Home Instead employs about 60 area providers of nonmedical services. For example, it provides Bessie assistance with household chores and errands, and enables her to venture out to the beauty parlor once a week. Martin looks in on his mother, while his wife, Nancy, helps care for her 87-year-old mother, who lives in her own condominium in Tulsa. Baby boomers, whether they are spouses or siblings, often haven't planned the care of their parents. "You have to plan ahead," Martin said. "I see people reacting to perceived emergencies and they get to making decisions." That's one reason why Home Instead has launched a public education program, called the "50-50 Rule," that begins conversations about how siblings or spouses plan to care for aging parents. "You'd be amazed at how many family members do not work well together," said Andrew Garrean, owner of Home Instead of Tulsa. "It's sad how many families have lost relationships when brothers and sisters are trying to plan for Mom." Fifty refers to the average age when adults must start planning for their parents, Garrean said. "There are always two sides to every story. Bill is handling a lot of (Bessie's) finances and planning, while Nancy (Martin) has to make a lot of visits to her mother's house, picks up the mail and takes her out to lunch more often." Planning ahead - especially for siblings who live far apart - is key for making a peaceful transition, rather than having to make a rash decision after a parent falls or is hospitalized, Garrean said. "If families are apart geographically, if you talk and plan ahead you can make the most out of a difficult situation," he said. Bill Martin, who owned a mortgage company in Tulsa for 20 years, knows plenty about money and he's able to help his mother handle her financial matters. When Bessie had bladder surgery a few years ago, he and his sister - who lives out of state - decided that her situation would allow her to stay at home for the time being. 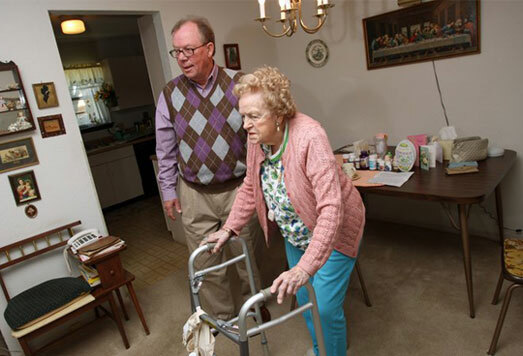 Meals on Wheels stops at Bessie's home three days a week, and Bill pre-pays her grocery and hairdressing bills. "All of Mom's bills are auto-deducted, so she doesn't have to worry about writing checks," he said. Home Instead provides services to clients who live in their homes, but also those who live in assisted living facilities, Garrean said. "I think the No. 1 frustration for families is the mounting expenses. What we try to do is conserve people's assets for as long as possible," he said. 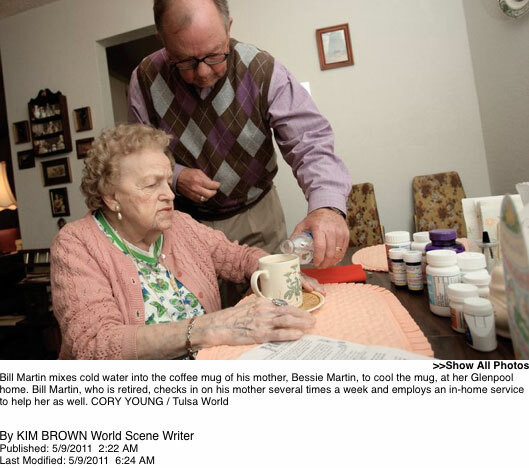 Martin said it costs between $1,300 and $1,400 a month to keep his mother at home comfortably. He estimated that moving her into an assisted living facility would cost thousands more every month. But Martin insists his decision was based on his mother's wishes, too. "There's no place I'd rather be than here," said Bessie. Martin is happy his mother still has a say in where she lives. "A lot of time, people disregard this until something happens," he said. "People who are informed make better decisions."